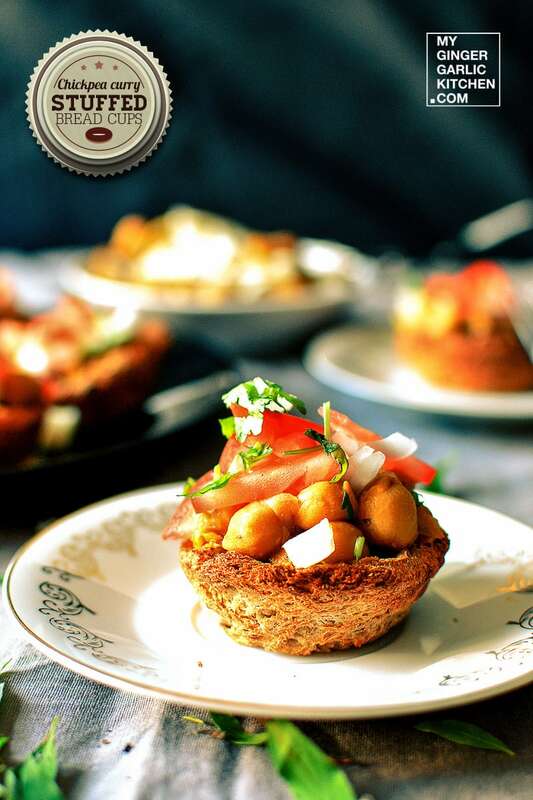 Chickpea Curry Stuffed Crispy Bread Cups are wholesome bread delight; they can be served as a snack, or as an appetizer before the main meal. 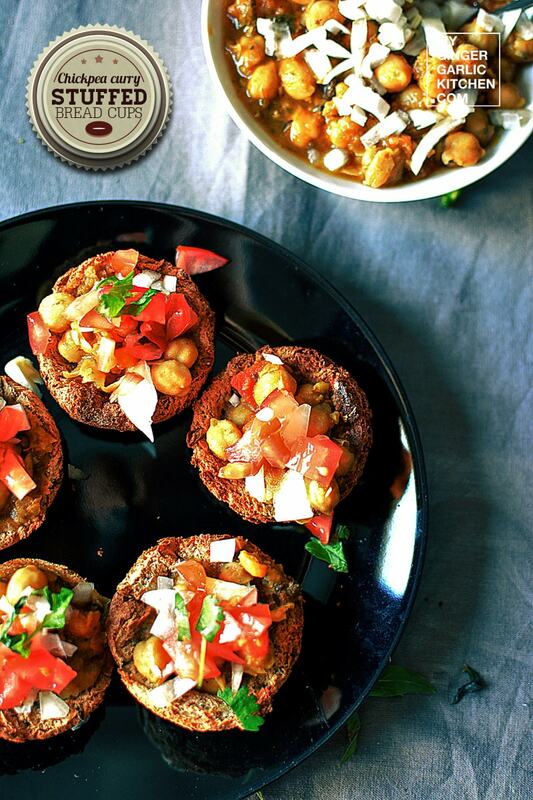 Crispy Bread Cups are high-protein dish, because of chickpea curry stuffing which contains lots of protein. 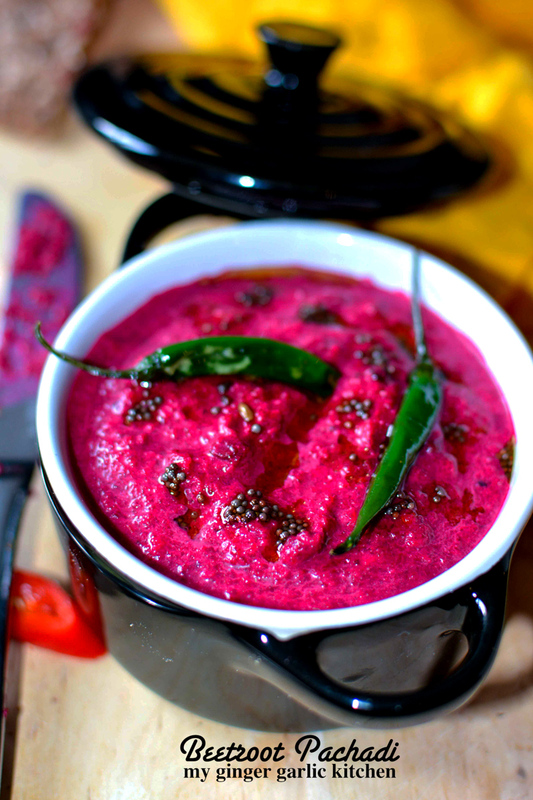 This is an enticingly spicy bread dish, which comes with a rare combination of crunchiness and softness. 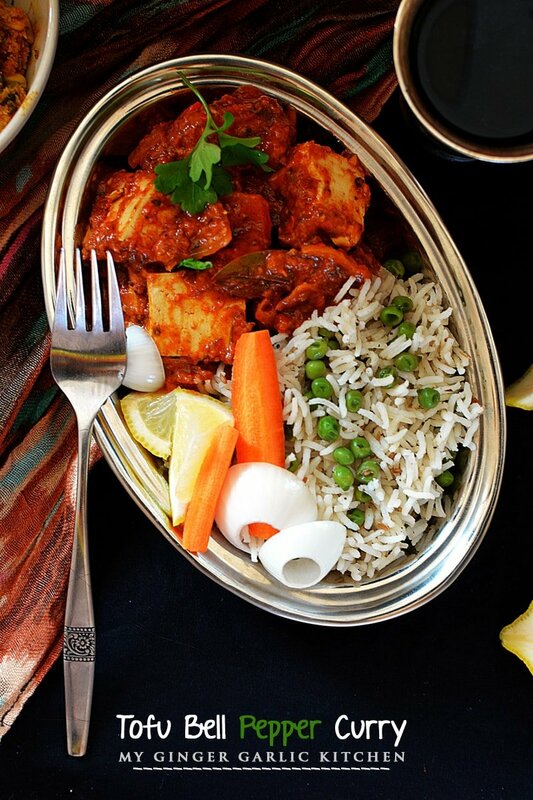 This perfect delight for a weekend snack can always be prepared with leftover chickpea curry. 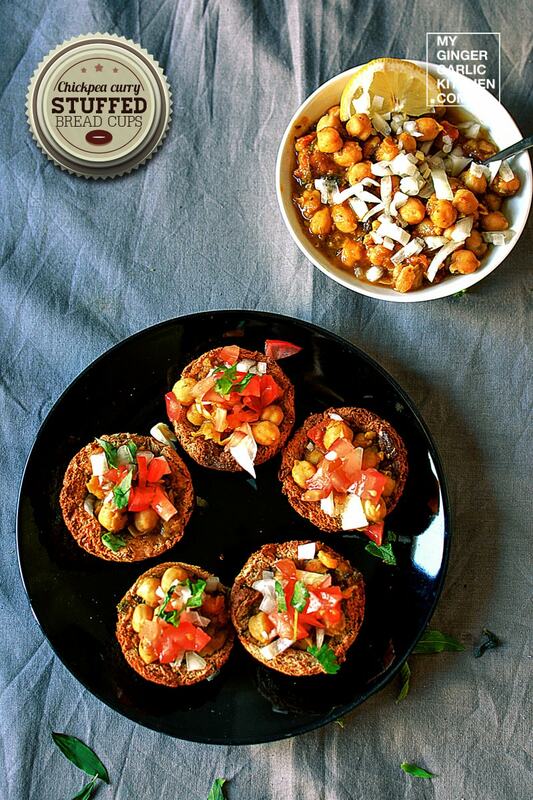 So next time when you are cooking chickpea curry, make some extra to try out these crispy bread cups. 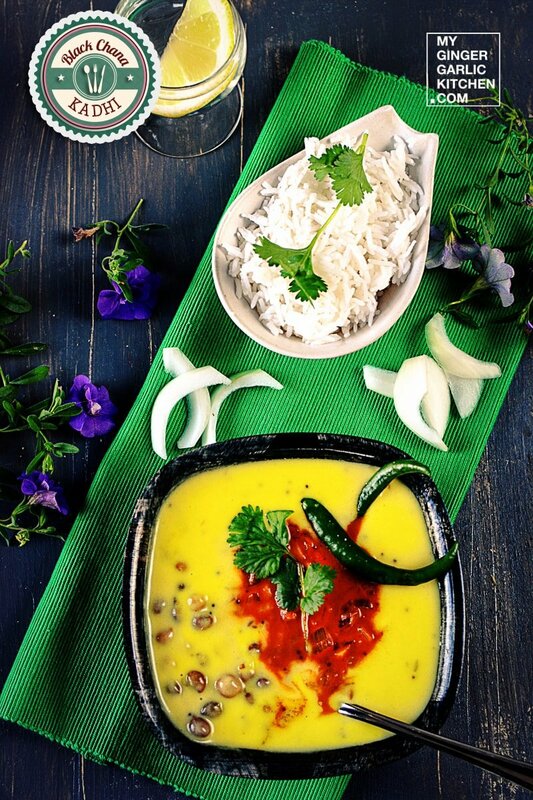 These crispy cups just taste like mouth-watering spicy chaat. 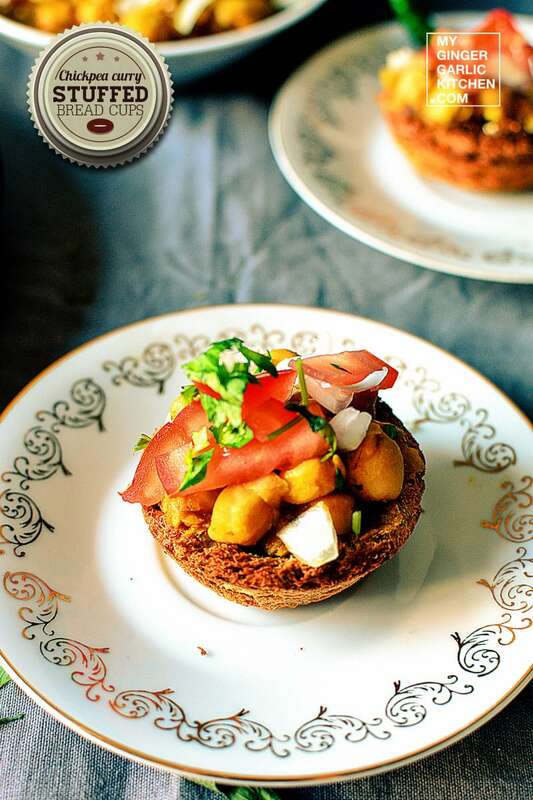 Let’s learn to cook Chickpea Curry Stuffed Crispy Bread Cup in easy to understand quick steps. Preheat oven at 350°F/ 175° C.
Cut 2-inch circles from the center of your bread slices. Apply some olive oil on both sides and press into a muffin tray, so they take the shape of the mold. 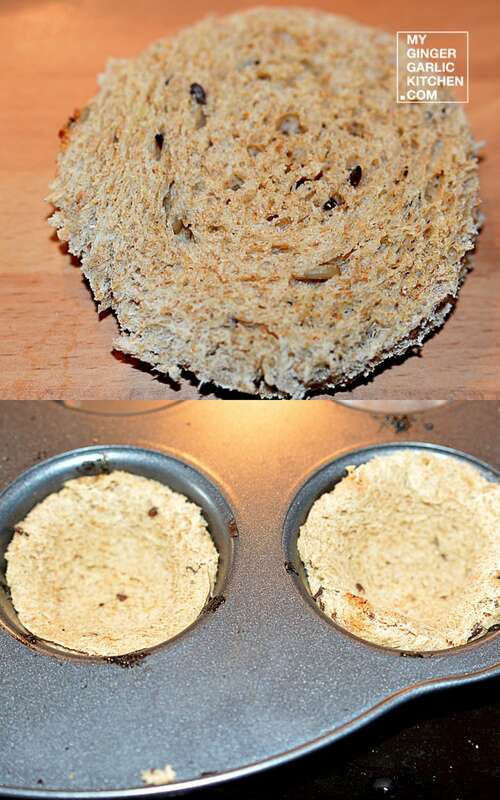 Bake in pre-heated oven for 20-25 minutes, till the edges of the bread cups, begin to turn brown. 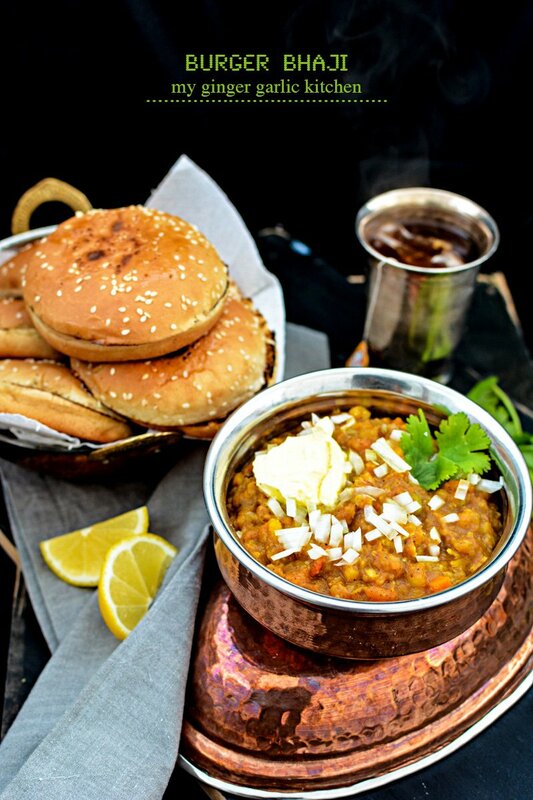 Fill the bread cups with a tablespoon of the chickpea curry, and top with chopped onions, chopped tomatoes. Garnish and serve immediately. Cut 2-inch circles from the centre of your bread slices. Apply some olive oil on both sides and press into a muffin tray, so they take the shape of the mold.